A joint parliamentary committee has expressed dismay over long working hours of Central Reserve Police Force personnel, who cannot even avail holidays and weekly offs, saying such a situation is neither healthy nor sustainable. The parliamentary standing committee on home affairs, headed by Congress leader P Chidambaram, also said the accommodation provided by the state governments to paramilitary forces sometimes are unhygienic, insecure and poorly maintained, which affects dignity, morale and motivation of troops. 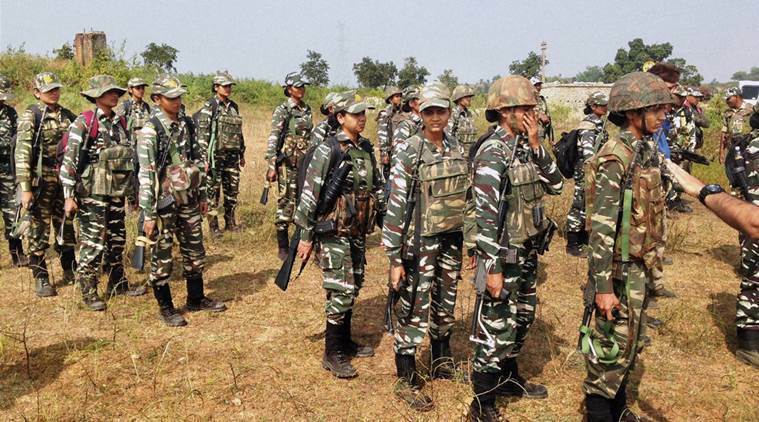 “The committee is dismayed to note that the CRPF personnel work for 12-14 hours a day and more than 80 per cent of CRPF personnel cannot avail holidays and Sundays,” it said in a report submitted to Rajya Sabha. The panel said it understands that the job of an armed force personnel is such that he or she has to be alert 24 hours a day, seven days a week and 365 days a year. However, working 12 to 14 hours daily with no scope for holidays and Sundays will result in psychological and physical consequences and affect their work, it said. The committee said it is important to acknowledge that the working hours regulation under Indian Labour Law stipulates a maximum of 48 hours per week. While the armed forces are exempted from this directive, it does indicate that their working hours are “neither healthy nor sustainable in the long term”, it said. The committee, therefore, recommends that some mechanism should be worked out by the ministry to provide the much needed rest and optimal duty hours for the personnel. The panel notes that there is a constant increase in the demand of CRPF deployment by the state governments. The states are over dependent on the CRPF for maintaining all kinds of major as well as minor law and order situations. The committee also notes that no CRPF battalion is presently designated for the purpose of providing rest and recuperation. Moreover, almost 98 per cent of training companies remain deployed on various short term law and order assignments across the country. This continuous deployment of training companies affects the overall operational efficiency of the force, besides denying troops the much wanted training and rest and recuperation.